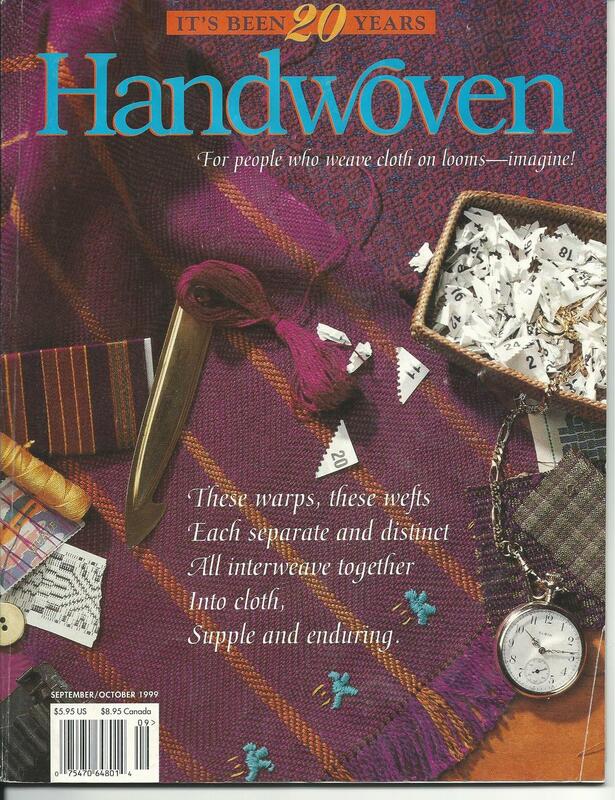 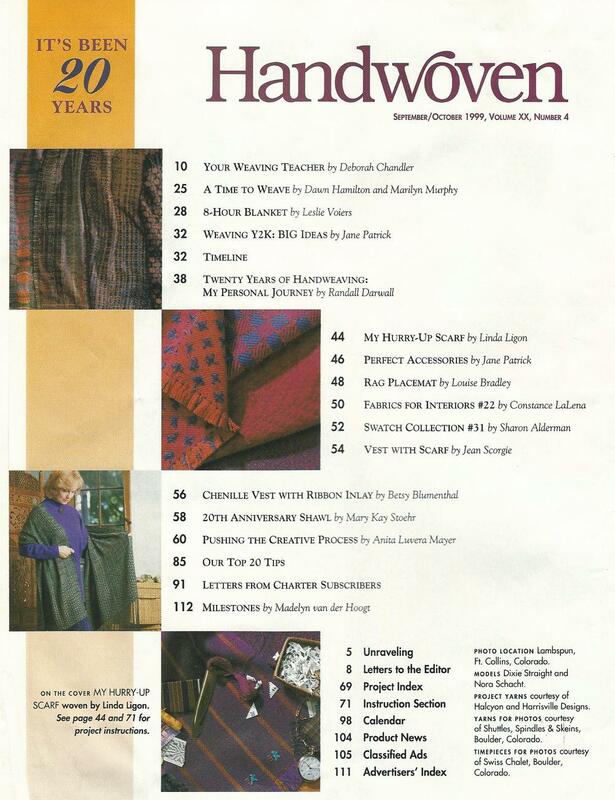 Handwoven Magazine September/October 1999 This is a used magazine in good condition. The cover has a slight ripple to it and the cover and the first page has a fold on the lower right hand corner. 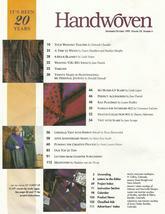 Please see image 2 for what this magazine offers.